-CNC Extended Box + Accessories. New Release (Click the Cyber Deals logo to view the current promotions). Extended Box + Switches + Digitizing probe +Estop Switch Improves CNC performance rectifies missteps and misdirections! On Sale Now! If you do not need a Digitizing probe to be included click here. The Extended CNC controller box contains signal drivers with Z state buffers that comply with the required IEEE 1284 type a signal level. It amplifies and therefore enhances the quality of the step and direction signals from the parallel port and thus, rectifies weak signal problems by delivering the proper signal level that any general purpose four axis CNC controllers such as the Sherline’s 8760 requires. The latter addresses often problems such as miss steps, single directional motion etc. 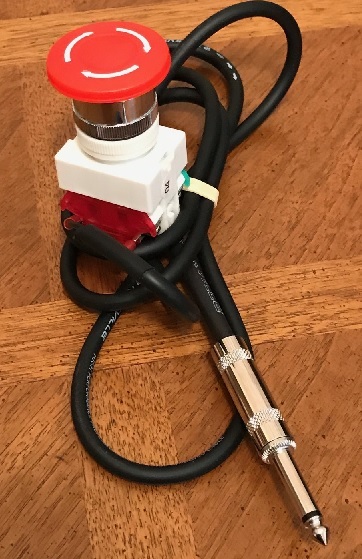 In addition, the extended box enables to add limits/home switches a Digitizing probe an Emergency stop switch and has an expansion port with additional buffered 4 outputs +V and ground. All the inputs and outputs have drivers for lower signal enhancement and furthermore, feature a high Z state for a better isolation for the CNC controller and the operating computer. 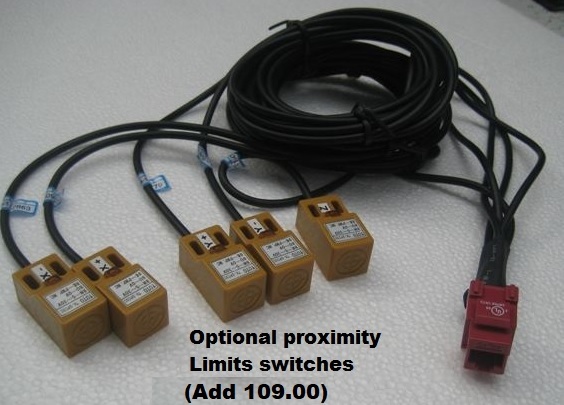 The limit switches and the probe inputs pins are not used by the 8760 CNC controller and therefore, are physically disconnected from it. They are also fully buffered to protect the computer parallel printer inputs. The unit comes with all the cables and accessories you need to connect swiftly to the Sherline’s 8760 controller. 1. Mechanical switches will easily connect to the extended box via the RJ45 cable. The Switches get activated when the moving project will touch them. They are relatively easy to mount onto the XYZ axis. 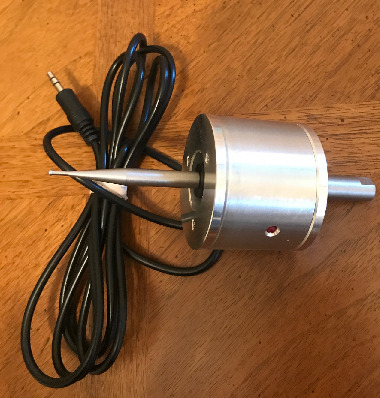 The Digitizing probe is mounted to the spindle via its 3/8" Shank (Spindle motor is off during the digitizing probe operation) the probe cable connects via a jack connector to the extended box. Various CNC software such as MACH3 and others have a probe wizard which generates a three dimensional G code from the probe contacts. This TP-100 probe can duplicate 3D objects with a reasonable accuracy. Furthermore, the extended box can accommodate a more accurate (and more pricy) probes available at the CNC market. Files being generated by the wizard can also be imported to a CAD software for fine tuning. The expansion port has an 4 additional outputs (Pins 1,14,16,17,+V and GND) that can control VFD CW/CCW module for a variable spindle speed control as well as on/off relays. The extended CNC box and the components that connect to it such as the Digitizing probe, Emergency (E-stop) switch, the expansion port and the Limit Switches do not operate autonomously but rather controlled via the computer’s input output (I/O) port as well as the CNC software. Accordingly, a malfunction could occur in the event of either a computer failure or I/O port failure or a software communication failure with the extended box. DPP Engineering provides 90 days of this product warranty and will diligently coordinate the returns and replacement of any defective product. Nevertheless, by submitting your order with us you are also explicitly accepting to never hold DPP Engineering responsible for any sort of liabilities due to damages either to individuals or properties whether direct, implied or indirect related to these products. CNC Extended Box + Accessories. New Release Extended Box + Switches + Digitizing probe +Estop Switch Improves CNC performance rectifies missteps and misdirections! On Sale Now!